Make a Splash is the national child-focused water safety initiative of the USA Swimming Foundation. Nine people drown every day in the U.S. the Safe & Healthy Children’s Coalition in collaboration with many agencies in Collier County wants to change that statistic by raising awareness of the importance of water safety this summer by hosting the first Make a Splash – Water Safety Day in Collier County! 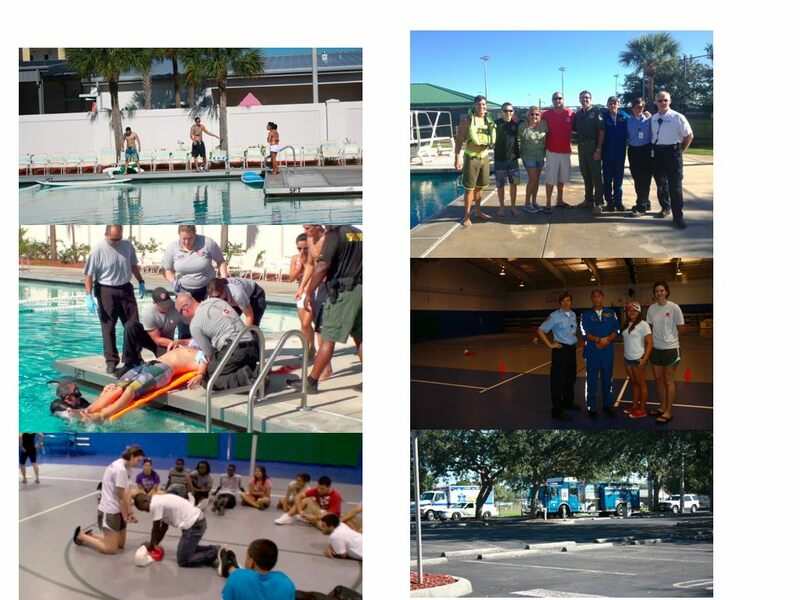 In 2012 the Coalition hosted two “Make a Splash” Water Safety Days, a mock drowning and rescue, water safety talk and CPR demonstration were conducted for 225 Immokalee freshmen high school children. A similar program was done at the Boys and Girls Club of Collier County for 150 middle and high school children. 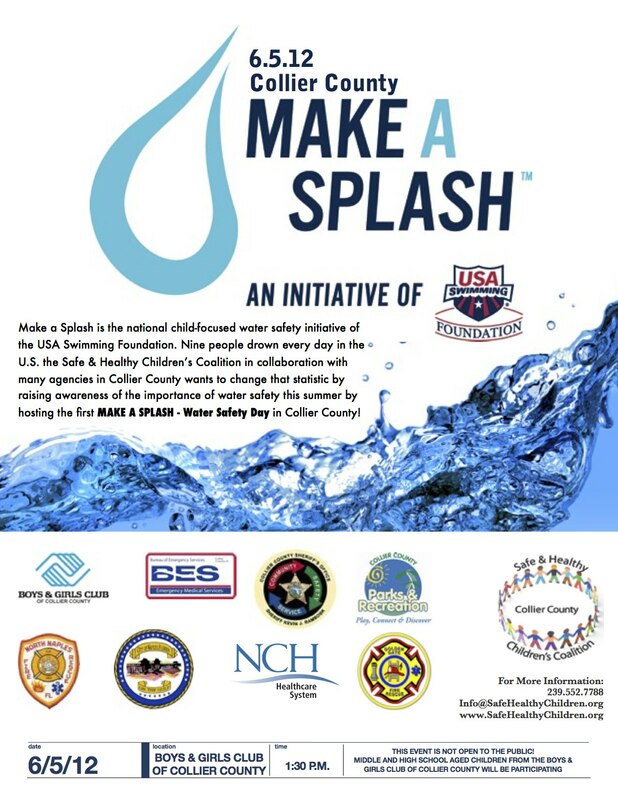 We partnered with USA Swimming – Make a Splash to bring this wonderful Program to Collier. In 2007, the USA Swimming Foundation launched Make a Splash—a national child-focused water safety initiative which aims to provide the opportunity for every child in America to learn to swim. The Foundation seeks to achieve this mission via a national awareness campaign, an affiliate coalition and a robust local partner program.